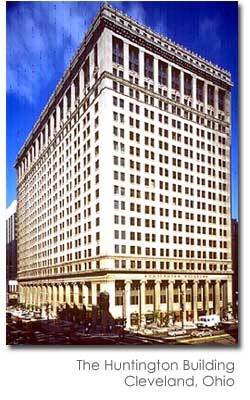 The Huntington Building, built in the early 1920's, is a 22-story building located in downtown Cleveland, Ohio. The building encompasses 1.3 million square feet of office space including the world's largest banking hall. Hines was hired by the building owner as asset manager to oversee the building renovation and property management responsibilities. The renovation project included upgrades to the mechanical and electrical systems, 4,000+ new windows, elevator modernization, state-of-the-art life safety systems, asbestos removal, and architectural and aesthetic improvements. The work was completed in April 1991. Hines continues to oversee the asset, property and leasing management responsibilities for the property.